The newly launched store is spread over 8,856 sq ft area. 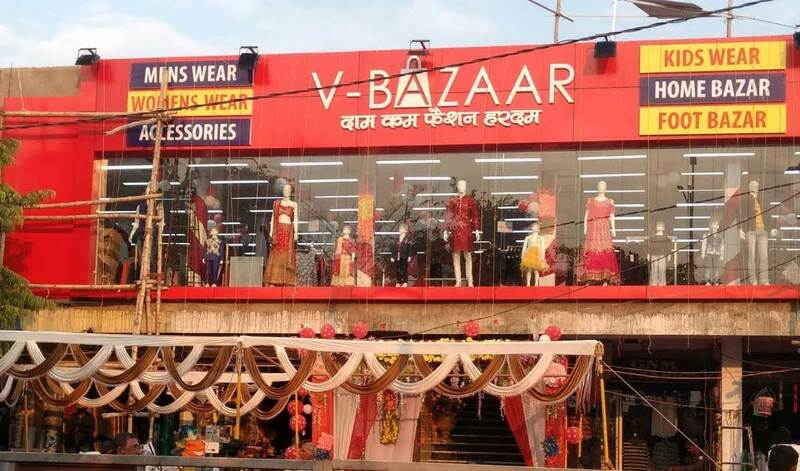 V-Bazaar has launched its 30th store in Uttar Pradesh at Lalitpur. The newly launched store is spread over 8,856 sq ft area. V- Bazaar is a complete family fashion store bringing trendy and fashionable merchandise to every category of people. Hemant Agarwal, CMD of V-Bazaar, said, "It is a very happy and proud moment for us to open our 1st store in Lalitpur. Looking at the overwhelming response of our other store, we thought of providing a convenient shopping experience to the customers of the city. It has been our attempt to provide our customers the superior merchandise, service and the overall international shopping experience." "This 1st new store in Lalitpur is a significant achievement for us. Our new store is fashionable and individualistic, showcasing a collection of the finest quality merchandise at unbelievably pocket-friendly prices," he added. Primarily, V-Bazaar operates in Tier II and III cities. It offers apparels for men, women, kids, home furnishing, footwear and accessories that caters to the entire family.